The Golden Age of comics was a mixed bag of genres given life on the four color page: traditional hero archetypes as that of Greek and Sumerian mythology, pulp fiction and radio costumed adventurers, and living embodiments of the red, white, and blue. Superman found his origins in the Man of Bronze, Doc Savage, Philip Wylie’s Gladiator (1930), and Friedrich Nietzsche’s Übermensch. Batman was born from the Shadow, Zorro, Green Hornet, and Roland West’s the Bat (1926). The desire for unabashed patriotism in the vein of Uncle Sam and Yankee Doodle for World War II inspired the birth of Captain America and MLJ’s the Shield. The Silver Age, on the other hand, largely derived from two sources: a rebirth of the Golden Age heroes and the popularity of Science Fiction. Where the concept of Green Lantern derived from the story of Aladdin and Richard Wagner’s Ring of the Nibelung(1848), the concept blended together with E. E. Smith’s space opera Lensman series to give birth to the Green Lantern Corps. The Atom went from a pint-sized brawler to a scientist able to shrink into subatomic worlds named after “Amazing Stories” editor Raymond Palmer. And the Fantastic Four were Jack Kirby’s Challengers of the Unknown given the powers of earth, wind, water, and fire by space born cosmic rays. One of the most influential SF stories that had a large impact on not only comics, but pop culture in general, was Edgar Rice Burroughs’ Barsoom series. Predominantly known for his creation of Tarzan, Burroughs introduced the world of Barsoom in stories that were collected to become the Princess of Mars (1917). 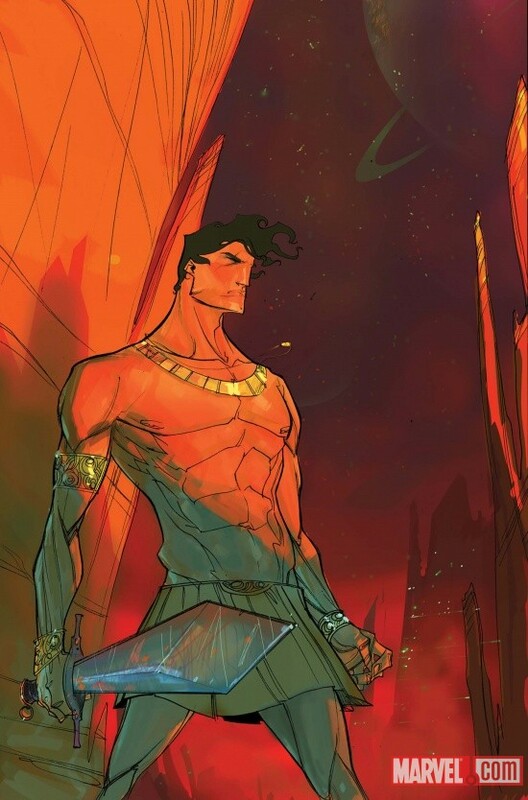 The story tells of Earth man John Carter transported to the planet Mars, called Barsoom by its inhabitants, where he befriends the green-skinned Tharks, helping friend Tars Tarkas become their leader, and the lovely Princess of Helium, red-skinned Dejah Thoris. Bridging the two races, he fights to save their world while carving a place in it with superhuman strength given him by the planet’s lower gravity. While the story of a stranger in a strange land with unnatural gifts is an old tale, reminiscent of the stories of Gilgamesh, Thor, and Oedipus, the Barsoom series was set upon an alien world with barbaric tribes, great beasts, and science far beyond the ken of Earth technology (ala H.G. Wells’ The War of the Worlds). 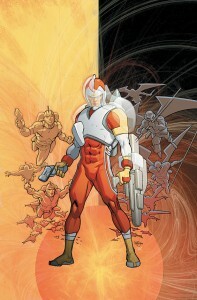 One of the more obvious examples of drawing inspiration from John Carter’s adventures would have to be DC Comics’ Adam Strange. Created by Gardner Fox and Mike Sekowsky and starring in Mystery in Space and later Strange Adventures, Adam Strange was an Earth man transported to the planet Rann by the planet’s chief scientist and quasi-leader Sardath. The residents therein dedicated to the pursuit of science and left physically weak, they needed a champion to stave off the many threats to their society by barbaric tribes and great beasts. Strange chose to become that champion and fight for their world for the love of Sardath’s beautiful daughter, Alanna. 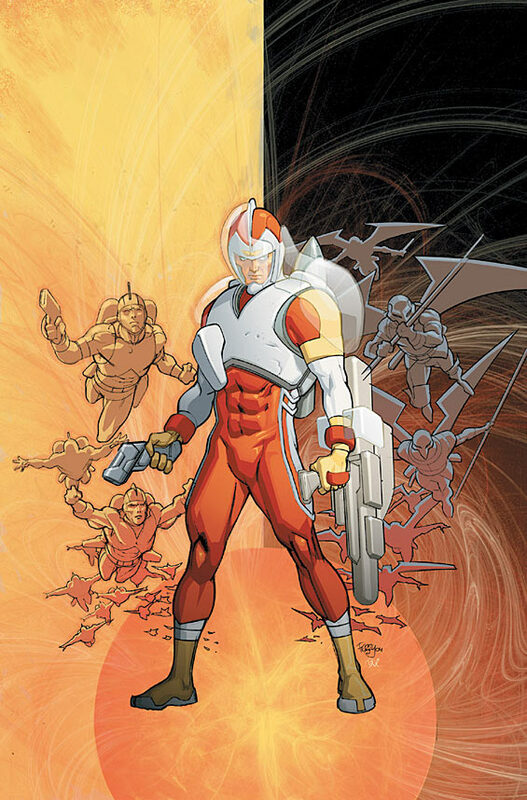 Adam Strange differed in some ways from Burroughs’ creation, borrowing some elements like a jetpack and raygun ala Buck Rogers, and in that part of his adventures involve traveling from Earth to Rann and back via the fantastic Zeta Beam teleportation system. 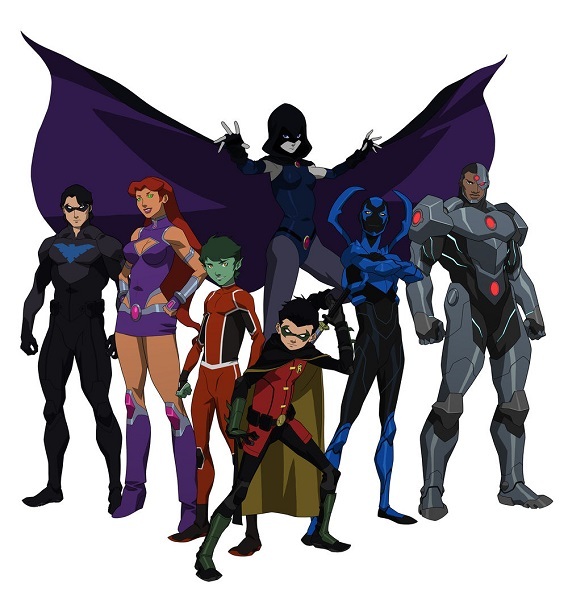 This made possible stories involving Earth’s super heroes and its space-faring adventurers like Superman, Green Lantern, and Hawkman. An intriguing variation on John Carter would be DC Comics’ Martian Manhunter. The green-skinned J’onn J’onzz was a peacekeeper on the planet Mars, retroactively called Ma’aleca’andra (after C. S. Lewis’ Malacandra of Out of the Silent Planet (1938)) by residents, part of a science-based society of super-powered shapeshifters threatened by their barbaric white-skinned cousins (in time, this would include Yellow Martians and White and Red Saturnian clones). During an experiment in teleporter technology, Earth scientist Dr. Saul Erdel brings the Martian to Earth, dying at the sight of the frightful alien being. 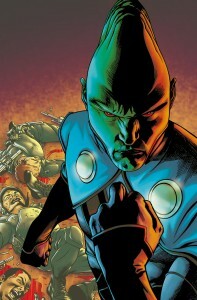 Stranded, J’onzz awaits his people to rescue him and adopts the identity of the Martian Manhunter to fight threats to Earth born from the planet and beyond, including beings form his native world. There is also, of course, Flash Gordon, which not only pays homage to the Barsoom stories but also borrows elements from Buck Rogers (and was created to compete against the fellow comic strip adventurer). Gordon differs more significantly than other homages, such as being transported to the alien world of Mongo via rocket ship rather than some instant transmission along with other Earth people to a world of beings more feudalistic than barbaric. 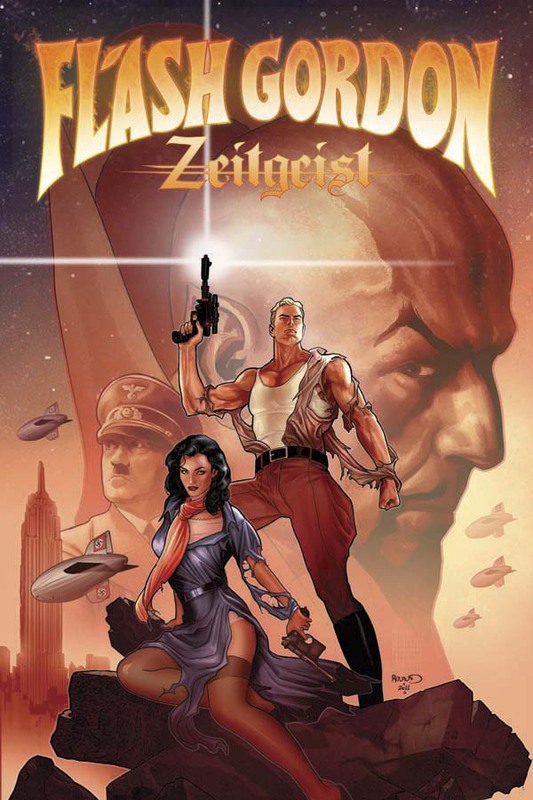 Nonetheless, Earth man Flash Gordon and Dale Arden are kidnapped by scientist Dr. Hans Zarkov to an alien world that threatened to destroy Earth. Once there, they discover the planet’s tyrant Ming the Merciless and the various kingdoms of different races. Rather then becoming a champion of the planet’s ruler against bizarre creatures, Gordon continues to differ from Carter in leading the creatures to revolt against their master and usurp Ming. Perhaps the most successful franchise to use Burroughs’ John Carter formula is Mattel’s Masters of the Universe (MOTU), albeit with some changes. In MOTU, Earth woman Marlena Glenn crash lands on the planet Eternia where she falls in love with its ruler King Randor. She bears two children, Adam and Adora, a pair destined for great power. Prince Adam reaches adulthood around the time Skeletor tries to steals the secrets of Castle Grayskull. To protect the great powers hidden therein and to stop Skeletor, the castle’s Sorceress grants the Sword of Power to Prince Adam to become He-Man, a superhuman cross between Conan the Barbarian and John Carter with a twist of Fawcett’s Captain Marvel. He-Man uses his unnatural powers to unite the barbaric tribes of Eternia as his green-clad ally Man-At-Arms supplies him with technology far beyond the ken of Earth, often battling its great beasts generally under the command of Beast Man or Mer-Man. 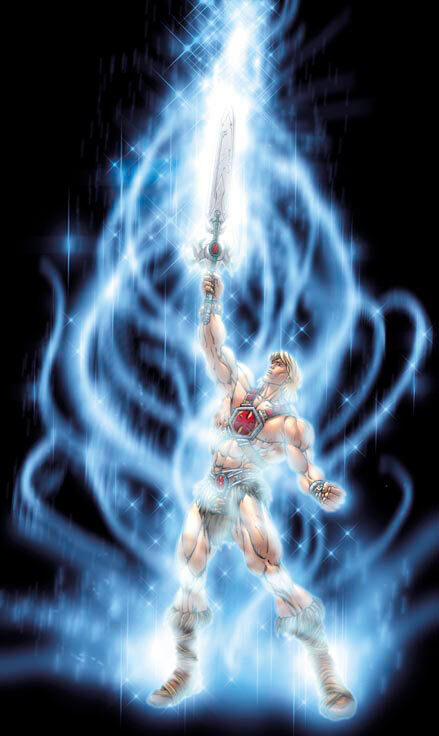 Adora, Marlena’s other child, would of course go on to serve a similar role to He-Man as She-Ra for the planet Etheria with the Sword of Protection. John Carter of Mars, predating Science-Fiction franchises like Star Wars and Avatar, tells a lasting story of destiny, war, friendship, and love. There are some who borrow from it, lovingly paying homage to a legendary story, and others who are not even aware the impact of Edgar Rice Burroughs’ creation because it’s so engrained in pop culture. The tale of Barsoom is brought to life in Disney’s John Carter (2012), playing in theaters now. From the studio that brought to the big screen the Pirates of the Caribbean franchise and the director behind Pixar’s Finding Nemo and WALL-E, don’t miss out on what is sure to be another in a long line of SF blockbusters.